"Josh is a pretty disturbed individual…" Great Point Media has debuted a trailer for an awkward indie film titled Aardvark, from writer/director Brian Shoaf. This premiered at the Tribeca Film Festival last year and like most Tribeca films, no one will ever see it. Jenny Slate stars as a therapist, Emily, who falls for the brother of a patient who may or may not be suffering from schizophrenia. 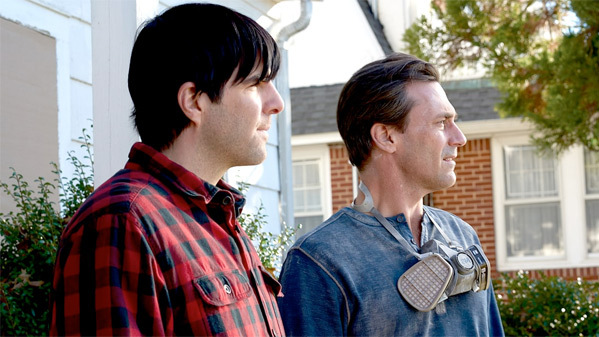 Zachary Quinto co-stars as her patient, Josh, and his brother is played by the alluring Jon Hamm, which is such on-the-nose casting it actually seems weird. The full cast includes Sheila Vand, Tonya Pinkins, Dale Soules, Peter Grosz, and Marin Ireland. This really does not look very good, but you can check it out if you're curious anyway. Emily Milburton’s (Jenny Slate) newest therapy patient is Josh Norman (Zachary Quinto), an emotionally challenged introvert who suffers from increasingly volatile hallucinations. Most pressing though, is his estranged relationship with his brother, Craig (Jon Hamm), a famous TV actor who just so happens to be in town for a visit. So what’s the worst that could happen when Craig shows up on Emily’s doorstep? 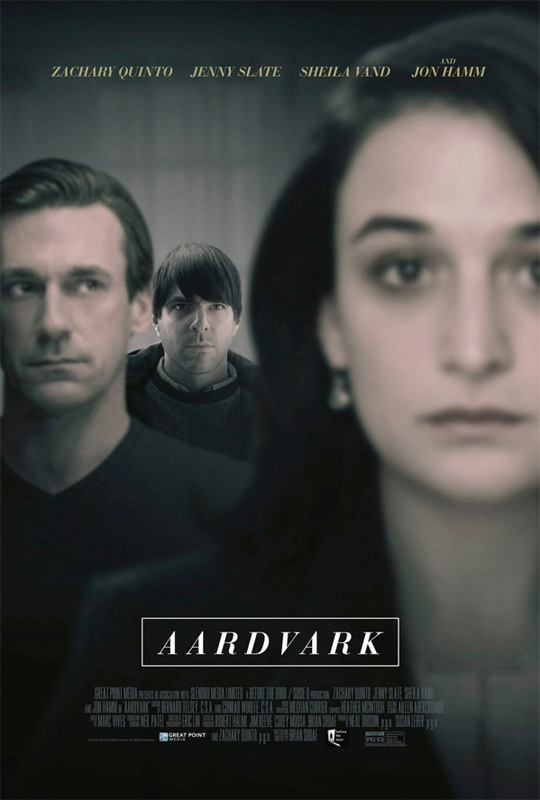 Aardvark is directed by American actor-filmmaker Brian Shoaf, making his feature directorial debut with this film after a few shorts previously. This first premiered at last year's Tribeca Film Festival. Great Point Media will open Shoaf's Aardvark in select theaters starting on April 13th this spring. Anyone interested?